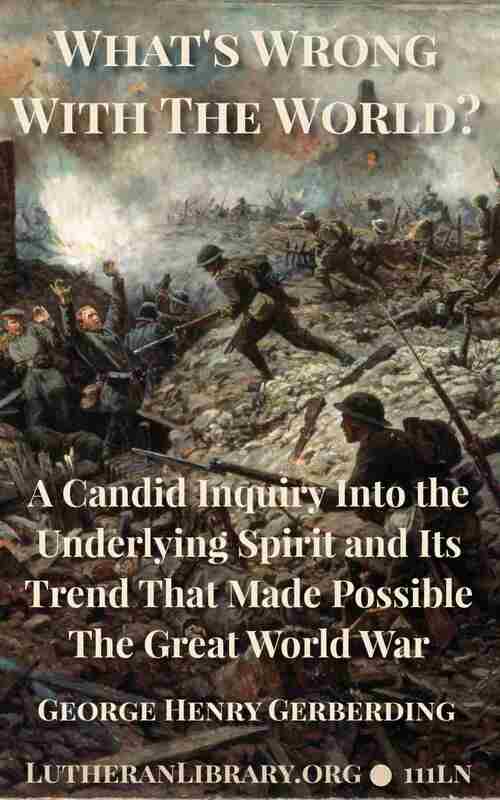 In this small volume, Dr. Gerberding presents one of the clearest explanations available of the underlying philosophies which led directly to the wars of the Twentieth Century and the stupefaction of today. Rev. 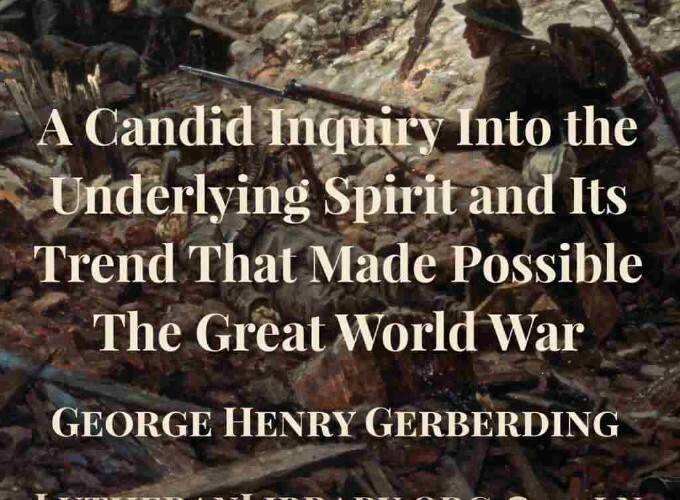 George Gerberding wrote this book just at the end of World War I. He answers the question Why? by summarizing and explaining the philosophies embraced by each of the major nations involved in the conflict. The astute reader may recognize the thinking of the young pre-WWI Europeans in the the minds of young Americans today. Rationalism started in Eden when the devil asked, “Yea, hath God said?” Should a being endowed with reason as man is believe that? Should he not at least investigate, criticize and judge all such sayings that purport to come from God? Goethe. Schleiermacher. Claus Harms. Ritschl. Eucken. What’s Wrong With England? Some Sore Spots. America. Good Beginnings. Later Apostasy.